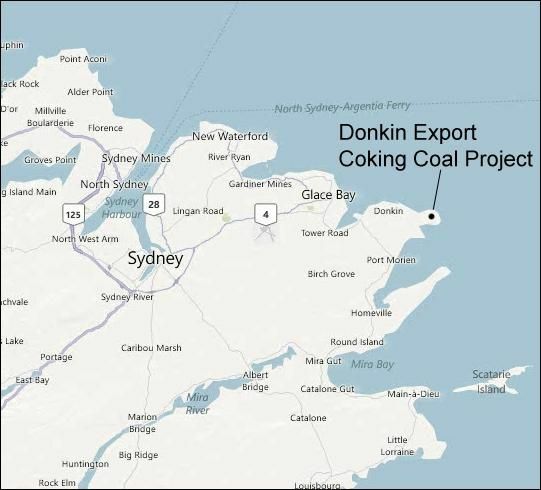 Cape Breton environment group asks Trudeau to reserve Donkin coal as "Security Interest"
Donkin, Nova Scotia -- With Kameron Collieries now actively seeking workers for its the Donkin, Cape Breton, coal mine – albeit in Alberta – attempts to keep the readily accessible coal seam in the ground may be futile at best. That isn't stopping members from the Cape Breton-based Margaree Environmental Association (MEA) from giving it one more try, however. On January 6, the MEA took the fairly novel step of writing to the office of Prime Minister Justin Trudeau. In their correspondence, the association requests that the federal government intervene in the project and “take steps” to reserve the Donkin Coal Seam in the interest of national security. At first glance, the idea of idling production on a viable coal seam in job-starved Cape Breton, not for the tried-and-true environmental arguments attached to coal mining - but instead based on matters of National Security – might seem more than a bit harebrained. But Neal Livingston, co-chair of the MEA, thinks there's merit in the idea, particularly in a province that seems to have lost its way in energy matters. 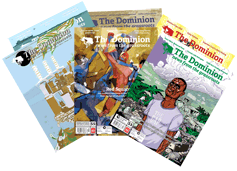 Livingston likens the idea of declaring the Donkin coal seam as a national reserve to various instances of countries holding onto grain reserves – saving some back in the case of a national emergency, or at the very least until prices become more competitive. “If you have a situation – a war or a conflict, potentially - where Canada couldn't move things around within its own borders, or needed to provide resources to an ally, this coal is really a strategic resource that could be kept in the ground and doesn't need to be used now,” says Livingston. There is, of course, the spectre of jobs to be reckoned with. Eastern Nova Scotia's unemployment rate hovers at around fifteen percent and while the Donkin coal mine has not entered the production phase, Kameron Collieries has publicly promised that staffing levels will initially require “between 90 and 120” individuals. With a suggested mineable reserve of 58 million tonnes and annual production slated to hover around the 2-3 million tonne mark, these theoretical jobs also hold the promise of being relatively long term, at about 30 years. To this, Livingston counters that the province is at a potential transition point, both in its employment and energy strategies. Nova Scotia can either 'double down' on supporting renewable energy initiatives and employment, or remain a relative provincial laggard in the national green energy game. “I think we'll need some help from the federal government to make those choices, because it's clear the province isn't engaging with the green economy, despite the fact that lots of citizens and businesses are,” says Livingston. “There a lots of Cape Bretoners already working in the renewable energy sector and these are often unionized jobs. There's other related jobs, with private companies, crane operators, electrical jobs, and these are local and international companies already working in these businesses. As of press time, the Prime Minister's Office had not responded to the Margaree Environmental Association.